Entries must be submitted to the secretary by Wednesday 16th Januray 2019. 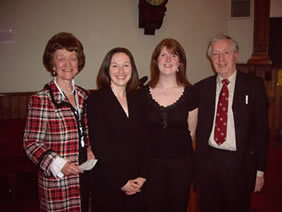 The primary author for entries must be either HEENW (Mersey) or North Wales Anaesthesia, ICM or Pain Medicine trainees (specifically CT1-ST7/8) who have undertaken their work in Mersey or North Wales hopsitals (Bangor, Wrexham and Glan Clwyd) or while on out of programme training or experiences while holding a training number within Mersey or North Wales. The presenter, if shortlisted, must also be a CT1-ST7/8 Anaesthetic, ICM or Pain Medicine trainee from either HEENW (Mersey) or North Wales hospitals. For further details about the format for all entries please follow this link. There has been for many years, a popular contest every February for the trainee who makes the best presentation of a research or audit project or interesting case report. 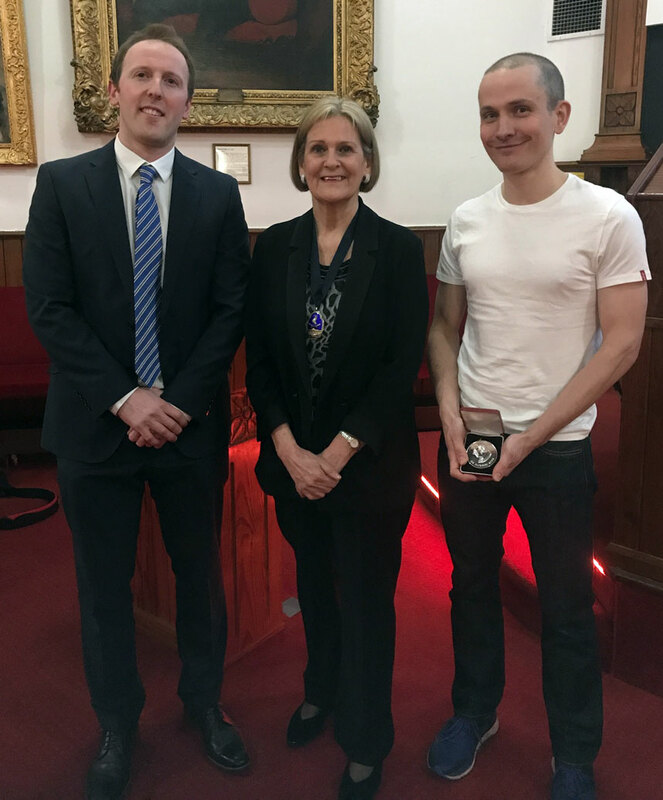 Originally named the registrars prize it was recently renamed the trainees prize to recognise the changes that have occurred in training and in time for the production and award of the first Jackson Rees medal. 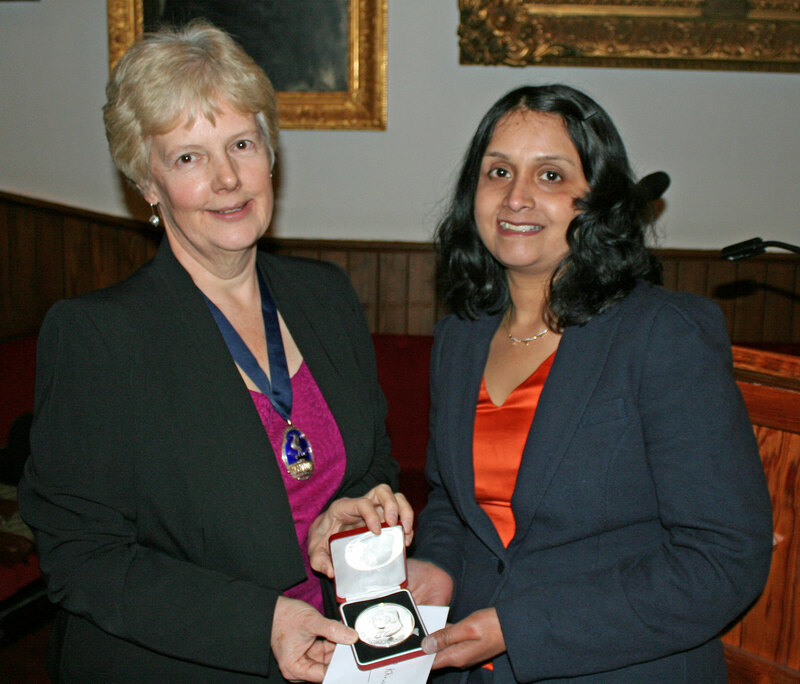 However this is not the first time that a well respected and renowned previous member of the society has been recognised in this way; for the 10 years up to 2001 the ‘Tom Forrest’ medal was awarded. 'Improving Care in Ventilated Inter-hospital Transfers – a Trainee led Quality Improvement Project'. 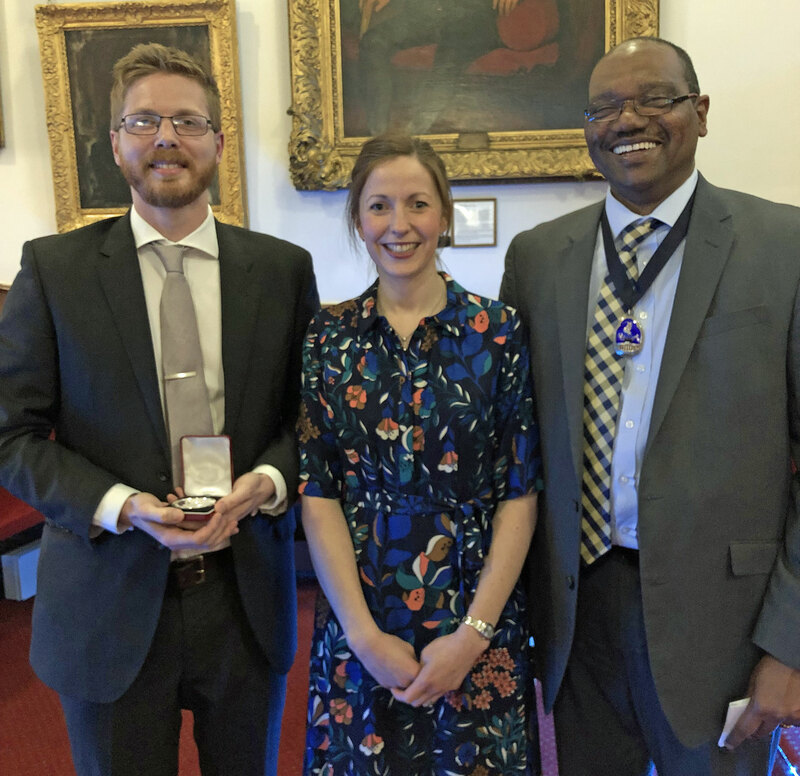 2018: The winner, Dr Mark Dunham (right) and runner-up, Dr Dave Whitmore are pictured with the President, Dr Clare Howard. 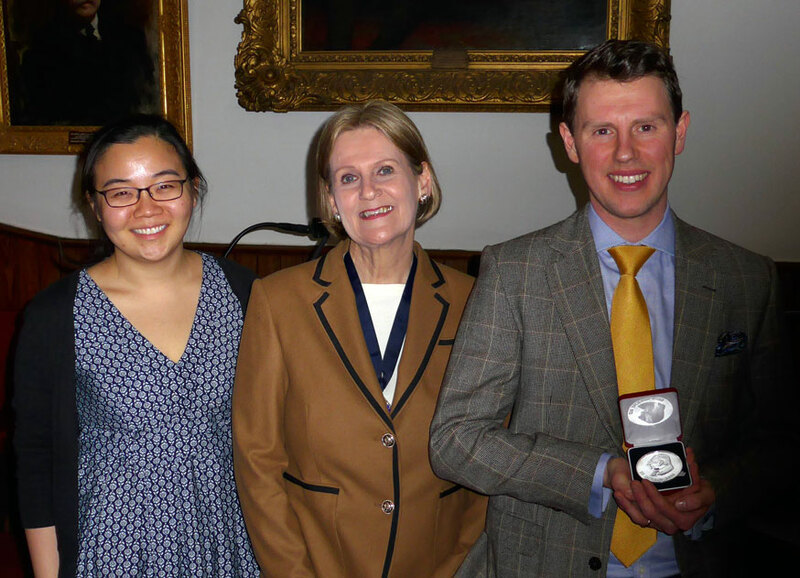 2017: The winner, Dr Richard Berwick (right) and runner-up, Dr Jacinth Tan (left) are pictured with the President, Dr Clare Howard. 'Evaluating the Fidelity of a Novel Part-task Trainer for Emergency Front of Neck Access'. 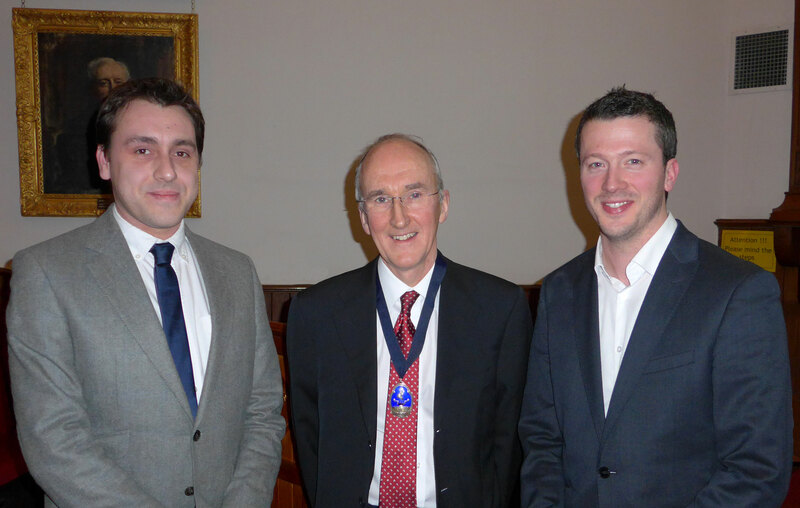 2016: The winner, Dr Nick Lown (left) and runner-up, Dr Richard Dodwell (right) are pictured with the President, Dr Ewen Forrest. 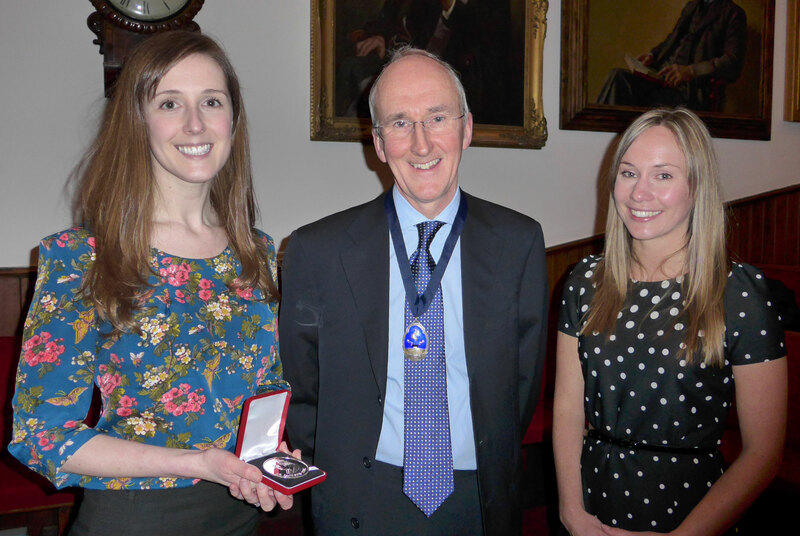 2015: The winner, Dr Emma Welfare (left) and the runner-up Dr Kate Kennedy (right) is pictured with the President, Dr Ewen Forrest. "Measurement of Maternal Cardiac Output; Is the Ultrasound Cardiac Output Monitor Accurate and Reliable in Pregnancy?" 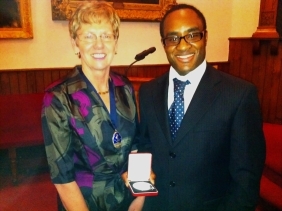 2012: Dr Clint Chevannes and President Dr C Bell. 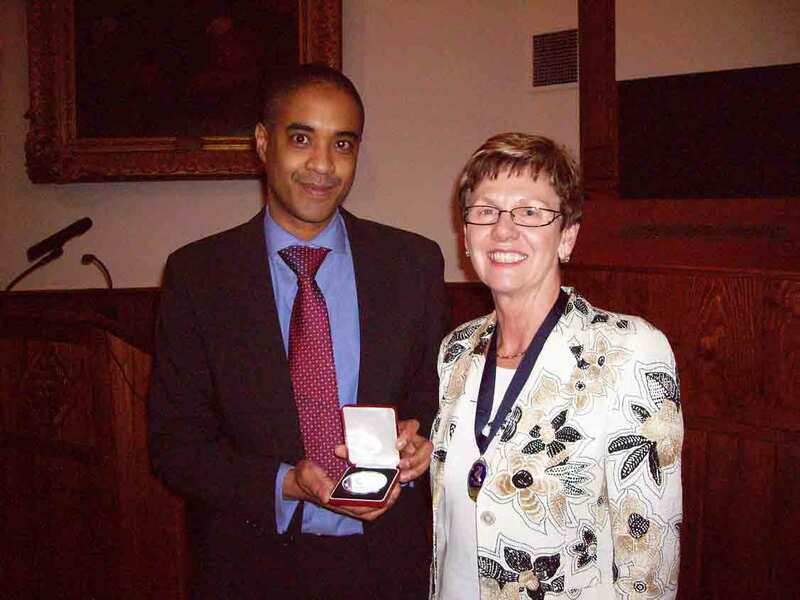 "Fast ROTEM Evaluation in Massive Obstetric Haemorrhage"
2011: (From L to R) President Dr C Bell with Winner Dr A Morrison. "Systematic review of intrathecal magnesium given alone or in combination with LAs and opioids". 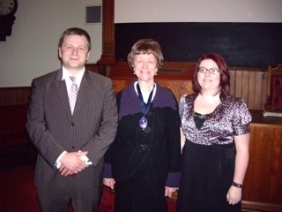 2010: (From L to R) Winner Dr A McDonald with President Prof J Hunter and runner-up Dr H Neary. "Use of Cell Salvage in Caesarean Section". 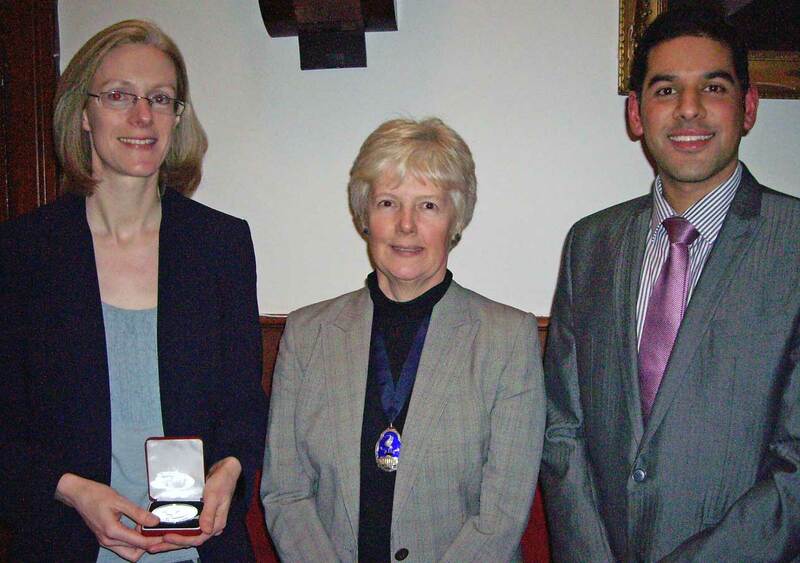 2009: (From L to R) President Prof J Hunter with runner-up Dr C Mollitt and Winner Dr C Hammell. "A randomised controlled trial of intrathecal diamorphine vs intravenous morphine for analgesia following posterior thoracolumbar spinal surgery". 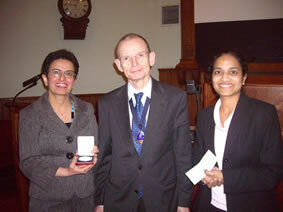 2008: (From L to R) Winner Dr E Vermani with President Dr J Chambers and runner-up Dr R Venilla. "Postoperative Analgesia, Side Effects and Patient Satisfaction after Intrathecal Diamorphine for Total Hip Replacement". With the medal goes a cheque and there is a second prize which is purely financial. All Mersey anaesthetic trainees are eligible to enter, with abstracts normally being required to be sent to the Hon. Secretary by late January. If you are interested please email the secretary. These are taken from the 2014 meeting. Further examples can also be seen in the minutes of past Februray meetings.